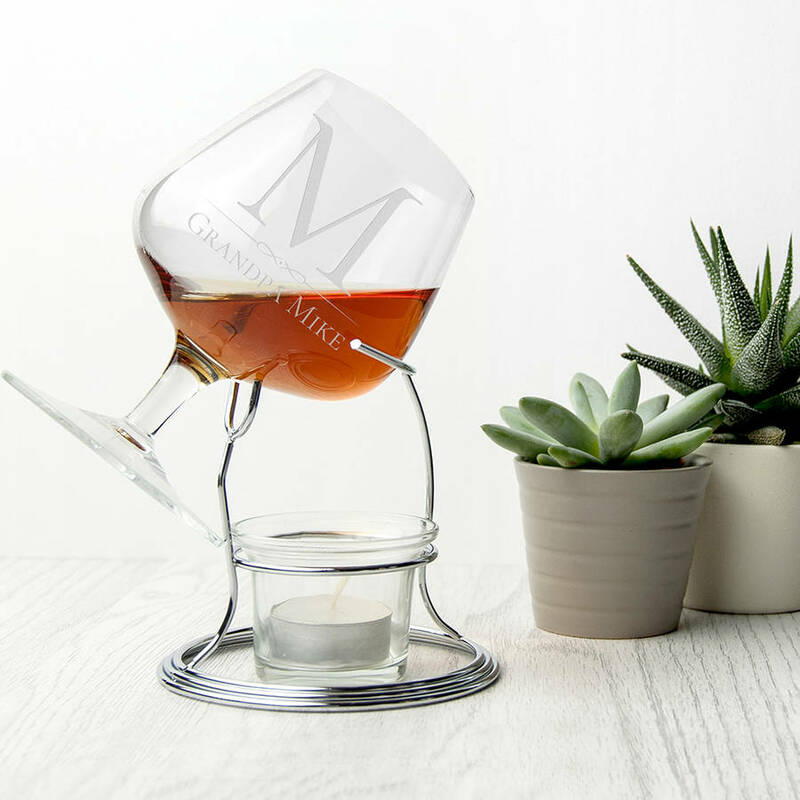 Warm your delicious brandy to its optimum temperature with this stylish Personalised brandy warming set. 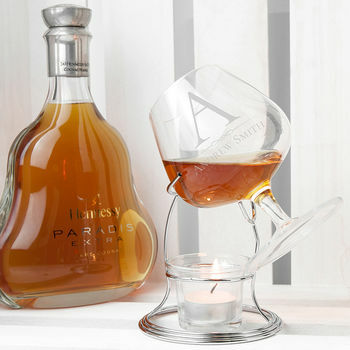 Simply light the provided tea light and place it in the glass cradle under in the frame, then place your brandy glass over the top to heat it to the temperature required. 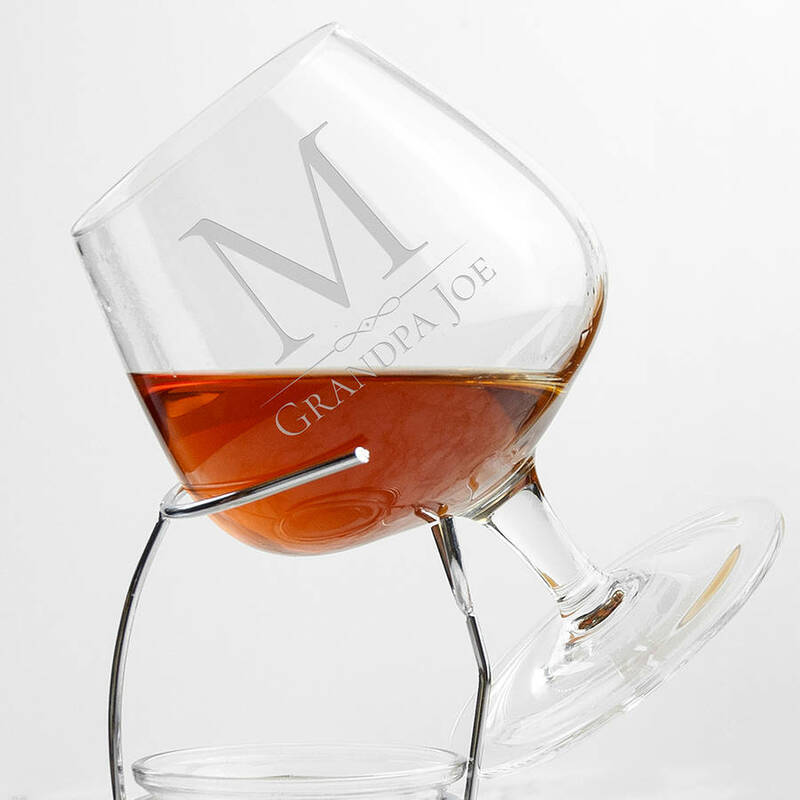 The perfect personalised elegant gift for any Brandy sipping person!